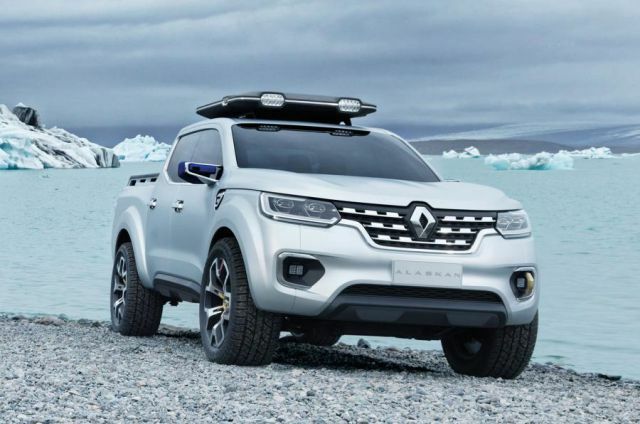 The Renault Company released the model Renault Alaskan that presents a fresh new item in the pickup category. 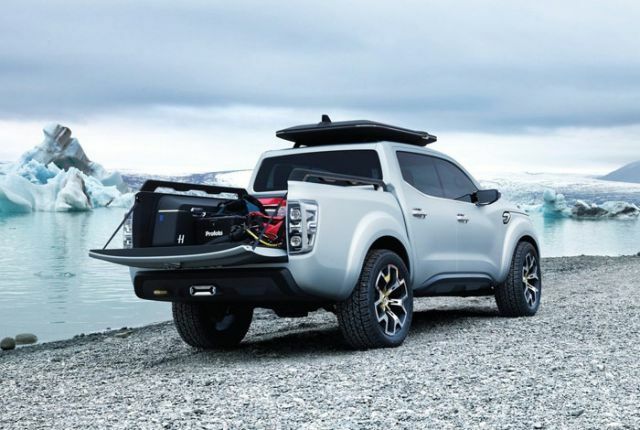 It is a fantastic choice for anyone with a lust for adventure which is looking for an advanced vehicle to help them reach new heights in their off-roading adventures. Meanwhile, it is also usable for everyday transportation due to its versatile modes. The pick-up weighs one ton yet incorporates a stunning look including an imposing front end. The vehicle provides an extremely comfortable driving experience enhanced with a cutting-edge five-links rear suspension and a tough frame. 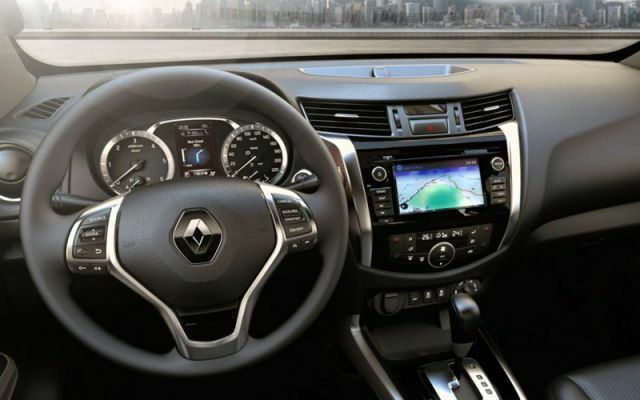 One of the most striking features of Renault Alaskan is its remarkable design. 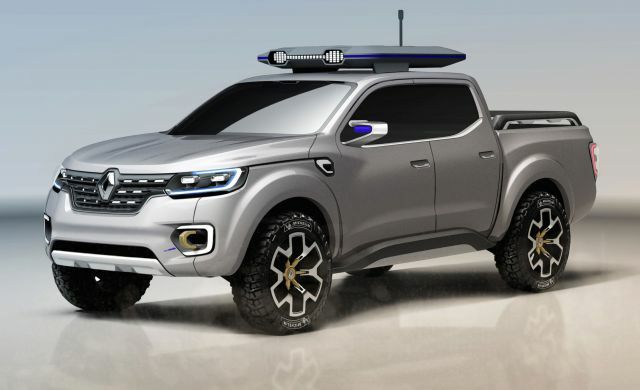 The vehicle has been designed keeping in mind its target market, i.e. drivers with a desire to indulge in adventurous rides. 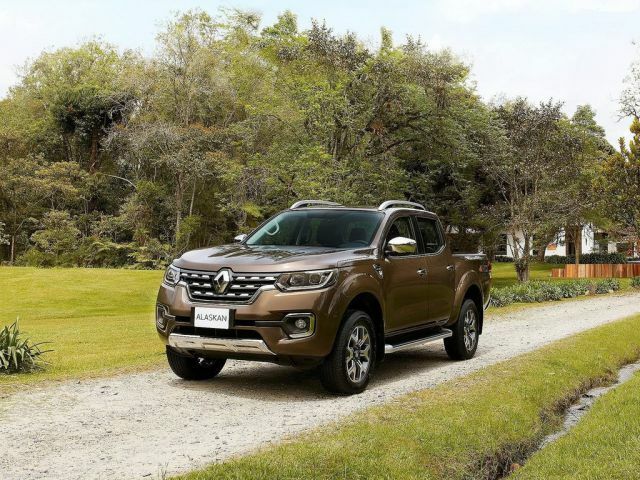 The Renault Alaskan’s status enhancing look fits perfectly with the aesthetic demands of the customers while expressing Renault’s brand identity. Its statuesque lines bring a modern and pleasing visual touch to the world of pickups. Enhancing the aesthetic beauty of the vehicle is its impactful front styling. The front end comprises of a large chrome grill, a glossy black trim and a chrome riser bar between the grill and the bumper. Moreover, the muscular lines of the bonnet amplify the impression of strength. The new model will be powered by the 2.3-liter engine that will produce 163-hp. 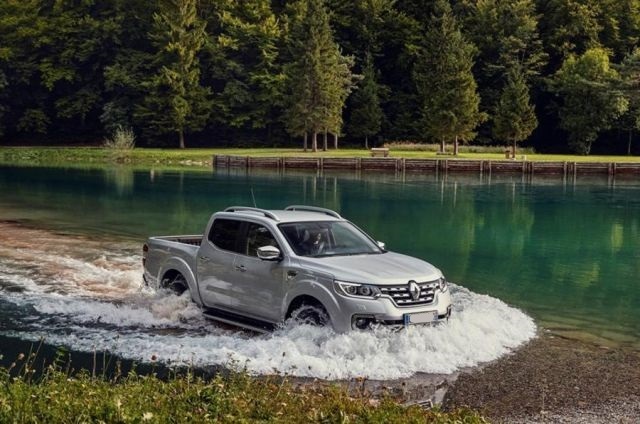 Another excellent feature provided by this pickup is that of cutting edge five-link rear suspension for improved driving comfort. This new five-link rear suspension provides excellent road handling and premium comfort for all passengers. The ride comfort is improved over more conventional rear leaf spring suspension due to less friction, whether the vehicle is loaded or unloaded. Moreover, it also reduces noise and vibration more effectively. The prime feature, however, is the Alaskans excellent off-road capability. It has three drive modes 2WD, 4H, and 4LO (also known as integral 4WD. The 2WD mode is for everyday driving and consumes less fuel. The 4H mode is for when traction is partially lost such as on wet roads and rocks for speeds up to 60 mph. The 4LO mode is for cases where there is a total loss of traction such as in sand, snow or deep mud, and the vehicle is at a standstill. Furthermore, the electronic limited slip with 4WD provides a safer drive. This system uses braking sensors that constantly monitor wheel speed. Whenever the system detects that one of an axle’s two wheels is rotating faster than the other, the brakes are briefly applied to slow the faster wheel for improved traction, greater cornering stability, and a safer feel. The Alaskan also provides rear locking differential that mechanically locks rear differential in difficult situations. The vehicle control aids for assistance during hazardous, hill start assist and hill descent control.